Arturo is originally from Puerto Rico and grew up a stones throw from the Caribbean Sea in a family that shared a love and respect for “la mar” Spanish for the sea. Chef by trade and training, he started diving in the late 90’s and became a dive professional in 2011. 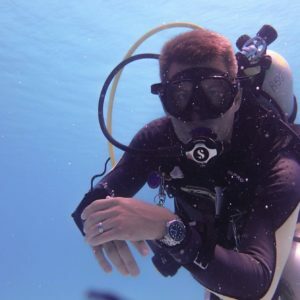 He has certified over 400 Open Water divers but especially enjoys teaching specialties like deep diver, navigation, search and recovery, and rescue diver. He enjoys diving wherever the water is wet and when not diving he loves to spend time with his young son and wife. Arturo also enjoys Crossfit and the shooting sports.